I have purchased a couple of pieces of hardware from these folks. Excellent prices and very fast shipping. On my list of trusted vendors. Typically way overpriced mall kiosk located in Tallahassee, Florida's Governor's Square Mall. Completely clueless person staffing the thing when I stopped by, full of misinformation. Refers to eliquid as 'oil'. Horrible website with lots of pie-in-the-sky health claims. Won't ever get a dime of my money. I've only been to this vendor's B&M once. Very clean, well stocked, knowledgeable friendly staff that are very attentive. Good selection of eliquid including diy base and Lorann Oils flavorings. Their downfall, like many B&Ms, is their pricing. Everything is way overpriced and is reason they didn't garner a higher rating from me. This shop is where I bought my starter kit. Very nice atmosphere and a staff that is eager to help. 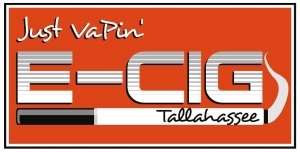 At the moment they seem to be geared toward the beginning vaper. They stock an excellent selection of typical eGo style starter kits and a good selection of eliquid. Their selection of intermediate and advanced hardware is growing. Everything is priced reasonably for a B&M. Tried this one 50/50, 18, 1 extra shot. If you like black licorice try this one. The only thing I'll do differently on my next order is get 2 extra shots. This juice is a tank cracker so beware. Having never tried the HiC drink I can only relate this one to a drink mix from youth...Tang but with a little to much powder mixed in, which I always did if mom wasn't looking. I love this juice enough to put it in my regular rotation. I'm a regular Mt Baker customer and really like most of the juices I've tried from them. I do not like the flavor of this one however. The vapor production and TH is good but it just tastes like licking a dirty ashtray. It even seems to get worse the longer you vape it. Adding menthol helps but you still end up tasting ashtray after a while. I also was left with a long lingering aftertaste that made me a bit nauseous. Always fast shipping. Pretty good juice for the price.